Mac OS X 10.6.1 was released earlier today which includes general operating system fixes that improves the compatibility, stability, and security of your Mac. The most notable among the fixes in 10.6.1 is an update to the Adobe Flash Player plugin that comes with the 1st release of Snow Leopard, which as many of us may have noticed, have downgraded the version of Adobe Flash Player after installation resulting into your Mac to have a vulnerable copy of the Flash player. Adobe posted a few days ago in its Security Bulletin all the details about this vulnerability, and how you can update to the latest version of Flash Player. 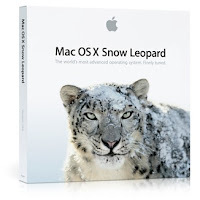 If you haven't done so, then we highly recommend to update your Snow Leopard's Flash to 10.0.32.18, which is the latest version. Just choose Sofware Update from the Apple Logo menu to check for available updates via the Internet, and choose this update for a safer browsing experience.